The Centre for Finance in cooperation with AB Volvo, SKF International AB and KPMG is organizing an ENTERPRISE RISK MANAGEMENT morning seminar and afternoon roundtable at the School of Business, Economics and Law, the University of Gothenburg on April 27th, 2018. 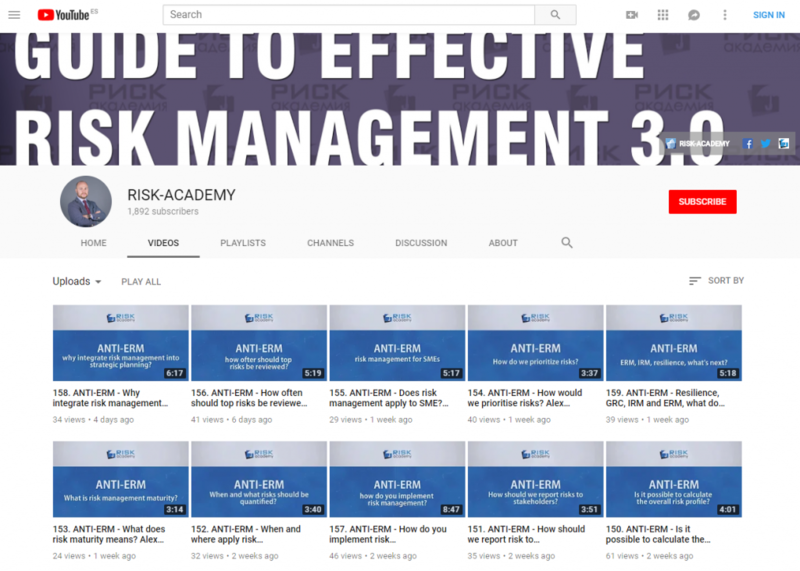 At the morning seminar from 9:00-11:30, Alexei Sidorenko, CEO at Risk-Academy, will share his thoughts on the integration of risk management into strategic planning and decision making. We will also hear some examples of the direction firms are taking towards integration. We encourage you to stay for the afternoon roundtable where participants will have a chance to discuss the status, motivations, challenges and techniques for achieving integration in their organizations. A great opportunity to learn from each other’s experiences! We end with a mingle at 15:00. Please feel free to attend both or either part of the day! The event is free and open to industry professionals and academics. Next: Next post: The great debate – Alex Sidorenko vs Chris Mandel – is ERM real?